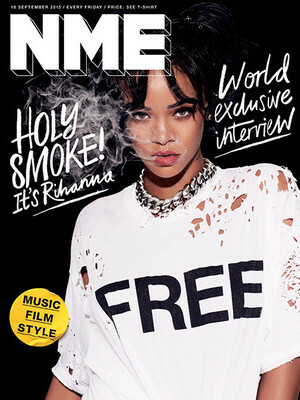 Free copy of the NME anyone? The NME is now free and distributed. The New Musical Express, since 1952 has been providing musos up and down the country with their weekly music digest. We love NME, so naturally we’ve been discussing the new format. Having anticipated the arrival of the free version for some time, we were delighted to get our hands on a copy last Friday. On an industry level, there’s been mixed reviews about content, quality and sustainability of a free model. We wholeheartedly believe that anything that gets people closer to music is generally a good thing. The question is, has there been a shift to the mainstream in a bid to make content more appealing to the masses and subsequently, to advertisers? Quite possibly so, but come on….we all understand this is the way advertising works. With online content being so widely available, it’s a sign of the times that falling sales of print editions has forced a rethink of the distribution strategy. Used cleverly as a gateway to more in depth, niche content on the website – it feels like an acceptable and justifiable approach. Some might argue using Rhianna on the front cover goes against the underground nature of the publication. But we believe the decision to use her was a clever one. RiRi’s certainly a household name that everyone can recognise and according to Mike Williams (Editor In Chief) she embodies the personality of NME – both iconic and individual. Featuring a woman on the front cover as opposed to an all male underground prog-rock band immediately positions the new-look NME as an option for everyone. Content in the main body of the magazine has experienced a few new twists and turns. There are more lifestyle pieces, a slight shift away from pure music and the addition of product reviews. There’s a hilarious new column fronted by comedian Katherine Ryan. In-depth editorial feels a little on the light side – there could be more live reviews. On the other hand, there’s a strong argument in favour of publishing digestible content that today’s millennial generation demand. We live in a time strapped society with attention spans getting close to ADD levels. It is however, still possible to delve deeper – just go online where NME continues to generate substantial content across many content pillars. All the journalism we know and love remains, including an excellent blog. Regular readers of the online NME will enjoy being able to flick through a print copy. There’s a lot to be said about the physical experience of reading something – not to mention having it in your bag for those moments where we can’t get online, or (pray it never happens) when we leave our phone at home or the battery runs out. For city dwellers, it almost seems that the Friday slot was waiting for the NME to provide a generous helping of music fodder for the daily commute to work or study. Currently, we have the Metro and Evening Standard daily, accompanied by ES Magazine, Time Out, Stylist and Shortlist for the rest of the week. There’s an abundance of free publications and an ever-growing advertising opportunity for brands to get closer to their respective audiences. From a targeting perspective, we know the NME is an 16-24yr old audience and this explains the distribution strategy – hand-to-hand at all stations where there’s a whiff of cool, hipster or student. So that rules out Clapham for me, but I guess I’m outside the target demographic. Fear not though, it is still possible to grab the NME at a multitude of pick up points dotted across the country and for those who live in the far recesses of Scotland, there’s a mail order option for just 75p. So there you go. The free and easy NME. Music journalism brought to your hands every Friday. Read and enjoy. I’m looking forward to picking up issue 2.2 on the way home from work today. It’s a fair question and one that I have never had a great answer for, now on the eve of our 16th birthday I think I understand and can explain why. Back in 1999, Big Fish was a suggestion made by a friend of mine, at the time there were loads of agencies cropping up with ‘interesting’ names and when she suggested Big Fish it seemed to feel suitably obtuse and a conversation starter. 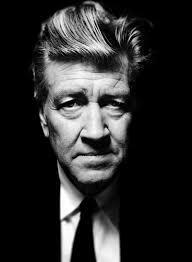 16 years later, as we are developing a team to deliver deeper insights into how brands should work with music, David Lynch the legendary director has shown me that in my sub-concious, I have always known the answer. As soon as I read his quote I realised – in the same way as you realise once you have had a child that they have always been there, waiting in the wings and that you have known them all your life – I knew the answer as to why Big Fish. So thank you Mr Lynch for dragging the answer from the depths of my brain and being much more eloquent than I have been till now. So ask me again… Why did I call the company Big Fish? 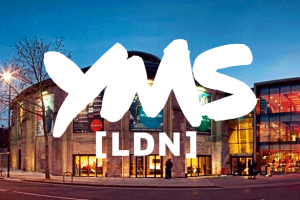 Big Fish Music Partnerships are delighted to be hosting the music panel at YMS 2016 – the UK’s biggest youth marketing strategy conference taking place at the iconic Roundhouse 7-9th March 2016. 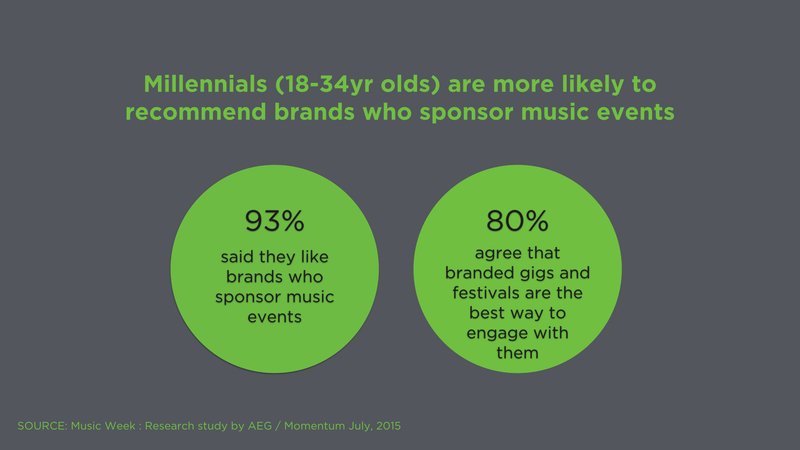 What can marketers learn from the music industry and the power that artists, record labels and live event promoters generate? 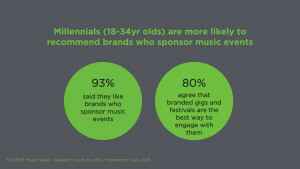 How music influences young people by making an emotional connection and how your brand can tap into this. 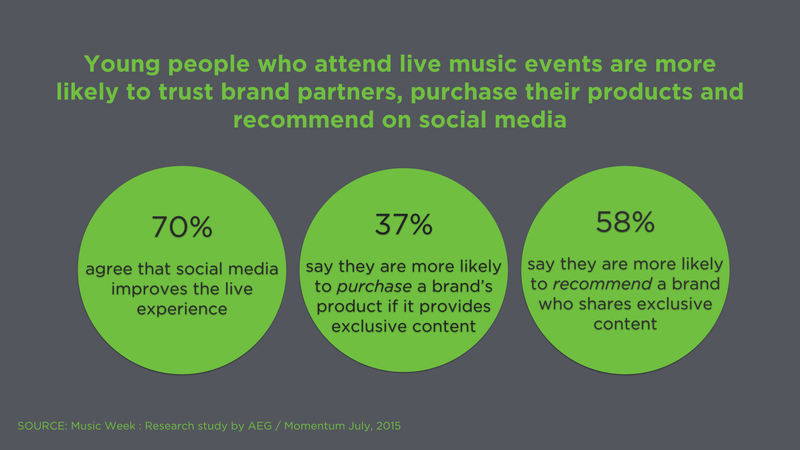 The tools and strategies to create live music experiences that wow. Find out more about the YMS conference 2016. Offering an (at the time) unusual and improbable alternative of live bands to the rave capital of Europe, Ibiza Rocks has grown to become one of the most recognisable names on the Spanish club island in the last decade. The music promoter and holiday operator is a permanent fixture of Ibiza now, and in their tenth year they launch a collaborative range with Supply & Demand that combines the best style of New York and the Balearic island. Look out for some photography of the range on this website soon, as well as some exclusive RWD interviews with big-name performing acts at the Ibiza Rocks venue across this summer. Supply & Demand x Ibiza Rocks will be available exclusively at Ibiza Rocks and JD stores from 29 June. Big Fish Music Partnerships are delighted to be working with both parties to deliver this multi-layered brand partnership. 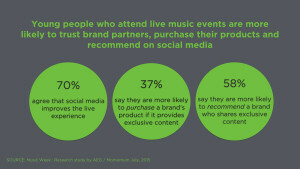 Record Store Day – Is a new brand strategy needed? As both a DJ and a lover of vinyl, some might be surprised that Record Store Day didn’t have me falling out of my seat to get in on the action. Don’t get me wrong, I absolutely 100% support our local independent stores (I buy music year round) and I think the more we can do to keep them in business the better. 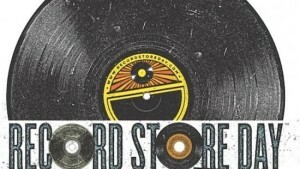 Record Store Day originally launched in the US in 2007 and now also happens in the UK each year, with the aim of raising the profile of independent record stores up and down the country. Aimed at generating buzz within the industry, many stores can expect take 2 or 3 week’s worth of business that day, significantly boosting sales. Rough Trade Records in Notting Hill had an exclusive performance from the Palma Violets – enjoying a manageable crowd and good community spirit. Berwick Street in Soho feels a bit more crowded – some argue that it is too busy. It’s a great opportunity to shine light on smaller vinyl retailers and for these communities to come together across exclusive events. But it’s not all good. The hype RSD creates leads to bulk orders being placed for exclusive limited edition products, which has been known to generate total disruption across pressing plants and distribution services. This can lead to bottlenecks in production leaving many stores uncertain as to whether orders will arrive in time, with the smaller independent stores not getting a look in. Shops who want something different are expected to place far greater orders than what they actually expect to sell. What started out as a celebration of the independent music retailer can end up being costly and time consuming with a whole load of unsold stock left after the hype dies down. That’s why many of the smaller stores have chosen to do their own thing. Rather than jump on the bandwagon of producing exclusive picture discs by bands from yesteryear (yes, there is actually a limited edition version of Take On Me by Aha) they’ve chosen to magnify existing stock, opening their doors record fayre style with local DJ’s and bands. “Last time we put something out the total turnaround was something like two and a half months. That makes things very difficult to manage. I’ve heard some rumblings that RSD could be moved to Autumn to ease things up but I don’t think it’s any more than an idea”. So is a new brand strategy required? Certainly streamlining the process so RSD works better for all those involved would be a start. Understanding the differing needs of the smaller independent stores against those of the larger retailers to make sure RSD delivers real benefits. The danger is that fringe events eventually become the true Record Store Day, with commercialisation of the official day drowning those it was supposed to support. Zane Lowe’s mystery move to Apple: Is it all about Beats? So after 12 years of manning the airwaves during the Radio 1 evening show, we hear that Zane Lowe is moving on to take on an undisclosed role at Apple. 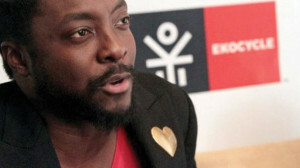 The legendary radio DJ has been responsible for shaping the direction of UK music scene for over a decade, breaking a countless number of artists onto the scene along the way. This will be a huge loss for Radio 1 and his fans, though we can be rest assured that his shoes are being suitably filled by an equally capable music maestro – the super talented Annie Mac who will be taking over the controls in March. But what is Radio 1’s loss, no doubt is Apple’s exponential gain. At the time of going to print with this article we were still in the dark as to exactly what Zane’s role will entail and speculating as to whether he’d be pushed towards iTunes or Beats. However, there is one thing certain, the acquisition is an extremely wise move by Apple. Why? Well we know that music sales are slowing down (single sales down 15.3% and album sales down 7.8% in 2014), whilst streaming is on the steady increase [up 65.1% last year]. So it makes perfect sense for Apple to make a strategic move towards enhancing and expanding its streaming services. And it’s equally as clever do that by bringing a globally renowned DJ who is a household name with a sizable following and held in great esteem. How better to capture the hearts, minds and ears of the nations? However, with Spotify now boasting 60 million active users and 15 million paying subscribers customers, plus all the other big streaming players on the market such as Soundcloud, Deezer (recently acquiring Muve), Rdio, Google Play, Mixcloud where does that leave Apple’s Beats and iTunes Radio within the mix? It’s certainly a competitive market and one that is continuing to grow. We’re seeing buy outs and services going public, worth billions. Even Google decided not to buy up Spotify for the $10million price tag. We know that Apple completed the buy-out of Beats last year, but what it has in store for the music platform is still up in the air. A multitude of reviews around services and points of differentiation across the various services have been written (http://www.pocket-lint.com/news/126892-which-is-the-best-music-streaming-service-in-the-uk-spotify-vs-rdio-vs-deezer-and-more). With sales of iTunes music down it’s looking more than likely that Apple will merge it with Beats to roll out a new improved streaming product. But there’s more going on than that. Trent Reznor – Beats’ Chief Creative Officer and former front man of Nine Inch Nails has alluded to exciting things on the horizon for Beats in the world of music delivery. And they’ve got Zane. And we know that it’s likely that iPhones will soon be preloaded with the Beats app. Given that Apple sold 74.5 million iPhones in the first quarter of 2013, its starting to look obvious why they chose not to buy Spotify and instead compete directly. Whatever’s on the cards, we know it’s going to be big.